The Magnetic Tank Pad is our most popular selling product. 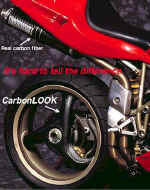 Click on the title to view all the color and style options. Our Magnetic Tank Bra is our top of the line product. Click on the title to find out about color choices and model availability. The Magnetic Simple Sheet is designed for those "custom" applications. This product can be cut into an infinite amount of shapes and sizes with a pair of scissors. Click on the title to find our more about this product. 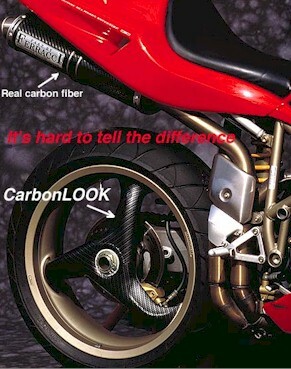 The CARBONLOOK ADHESIVE SHEETS are designed to give you the ultimate flexibility in transforming your bike into a CarbonLook work of art. 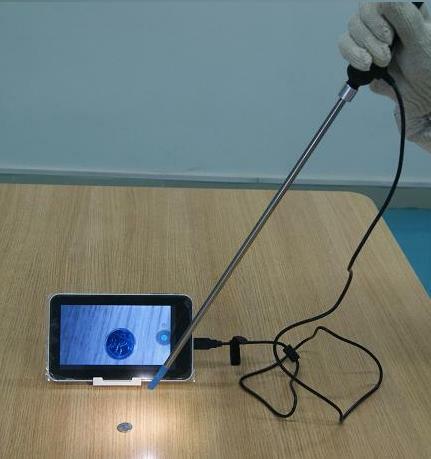 Borescopes are designed to view cylinders of Aircraft, Motorcycles, Cars, and anywhere the naked eye is unable to view.